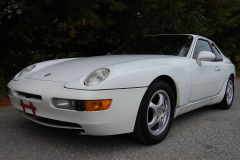 1993 Porsche 968 Coupe White with a blue interior. 143000 miles. 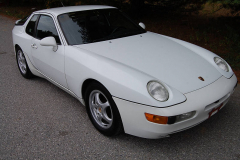 Many service records, for such things as timing belt and clutch. Car runs very nicely and feels great on the road. Air Conditioning is ice cold. These are very rare cars, the final evolution of the 944. Manual 6 speed transmission.